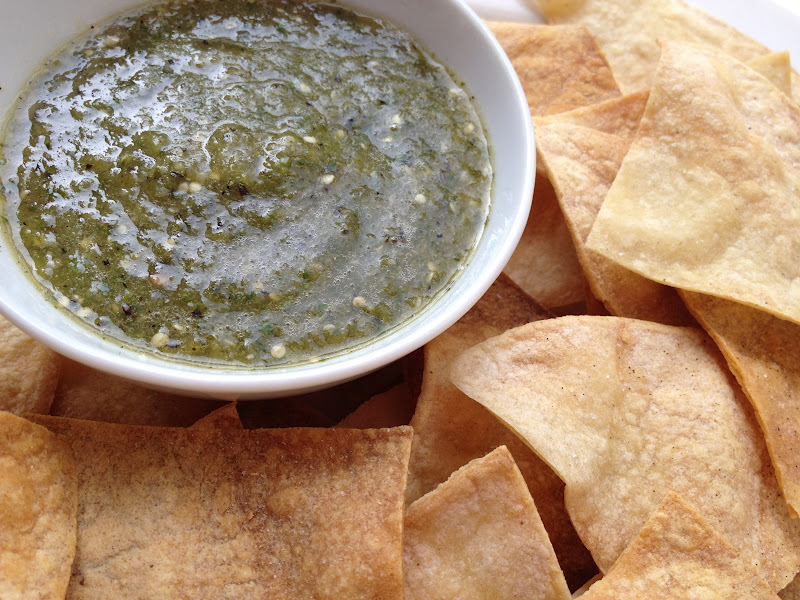 My friend Beto taught me how to make my all time favorite: green salsa. It is so simple and totally authentic because Beto is from Mexico. Heat up a non stick skillet. Take the paper off the tomatillos, wash them and then slice in half. Place cut side down on the skillet. Slice the jalapeño in half and add to the skillet. Peel and crush the garlic and coarsely chop the onion. When the tomatillos and jalapeños are nicely charred place in the blender. Add the garlic, onions and water. Blend. Serve with homemade tortilla chips. Enjoy!